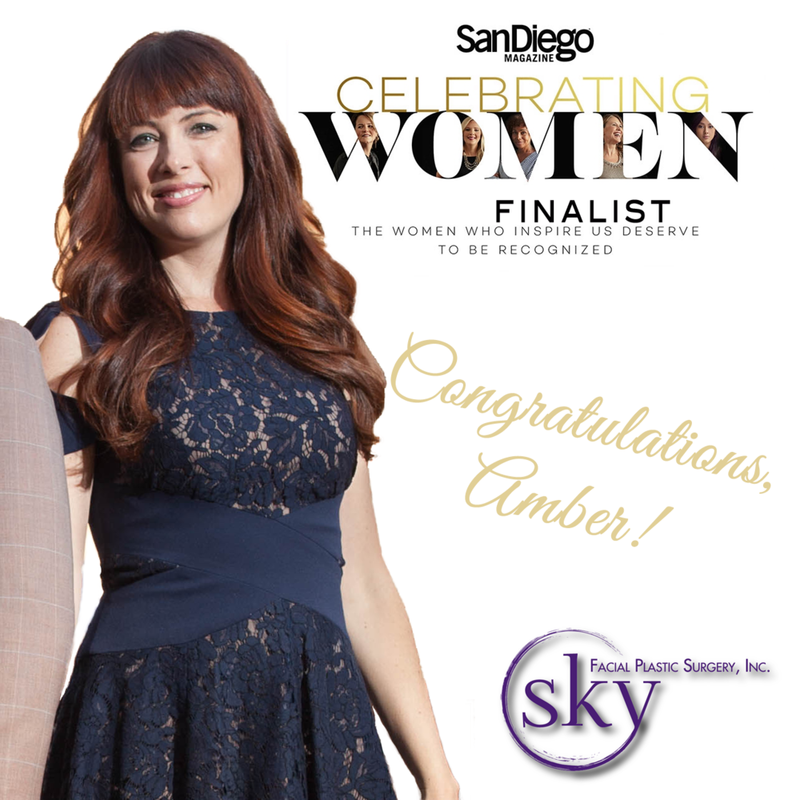 Congratulations to our Vice President Amber N. Yoo, M.B.A. for being selected as an Industry Leader finalist and Woman of the Year nominee for San Diego Magazine's Celebrating Women awards! Celebrating Women honors San Diego's most inspiring female leaders - "our city's dreamers, change makers and mavericks" - with the Industry Leader being a "dynamic and passionate leader who has a positive influence on others and works tirelessly for causes near and dear to her heart" all while leading a successful business. After graduating with her MBA from the University of Florida in 2010, Amber co-founded SKY Facial Plastic Surgery with her husband - our President and surgeon - Sirius K. Yoo, M.D. In 2013, Amber led on the design and construction of SKY's own medical office and private surgery center. The new facility opened its doors in 2014, with Amber gaining full accreditation for the surgery center. Today, Amber continues to run all aspects of the business, allowing Dr. Yoo to focus solely on his patients. "Amber is a passionate business owner who mentors her employees and also mentors women in the community," shares SKY's Assistant Manager, Ashaya. "She embodies what I view as a great leader. She is very driven and reaches large goals but also takes the time to focus on the little things. Her motivation and passion is contagious. I admire Amber and I am so thankful for who she is and all she does!" Amber has been honored the past two years by her alma mater, the University of Florida, as leading one of the top 100 fastest growing "Gator-led" companies, with SKY ranking #34 out of 100 in 2017 and #24 out of 100 in 2018. She has also been selected as a finalist for San Diego Business Journal's Women Who Mean Business and Woman of the Year awards for four years in a row and three times for San Diego Magazine's Woman of the Year award. "We salute your accomplishments and thank you for your contributions to our city," states San Diego Magazine's Fiona Leung. All finalists will be featured in San Diego Magazine's September issue and honored at the Celebrating Women event on September 25, 2018 at the Westgate Hotel's outdoor rooftop.